By Jake Rocheleau in Freelance. Updated on April 24, 2018 . The toughest parts about freelancing are the dry spells with no work. You never know when a new project will come up and it can be nerve-wracking scouring for another gig. 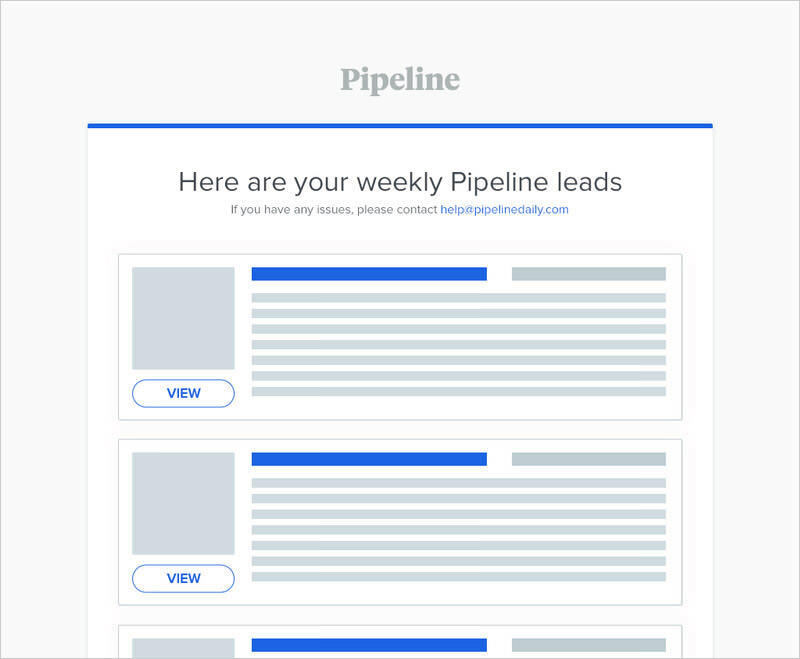 But, with Pipeline, you can get new emails directly to your inbox every Monday with leads on new projects from prospective clients. I should clarify right off the bat Pipeline is a paid service. It costs a monthly fee and you get 15 exclusive client offers that only get sent to a maximum of three people. Those offers aren’t recycled and you can pick between these projects every Monday, or wait until next week for more offers. The biggest goal of Pipeline is to work with quality clients who know the value of creative work. Emails are organized and curated from hand-picked jobs spanning over 300+ different freelance job websites. However, the jobs are monitored for pay, client history, and expectations that don’t undervalue the workload. Pipeline also has relationships with recruiters and firms who send out client job opportunities to anyone available. I can’t tell if Pipeline curates jobs for other creatives such as icon designers, artists, infographic makers, or identity designers. But, they do have a contact page where you can ask them directly to see if your specialty is represented in the jobs they scout. The best part here is that every client project is only sent to three individual people at most. So, every offer you get will only be sent to two other people via Pipeline, which makes this far less competitive and a brilliant service for anyone interested. I understand the pain of paying for something like this and it’s not great for newer freelancers who may not have the skills to land such projects. However, Pipeline offers something that few other services can match. Not to mention it’s run by two freelancers who understand the difficulty of working by contract. To learn more, visit the home page and read through their FAQ section. They do offer a 30-day money back guarantee, so there’s not much to lose by trying.